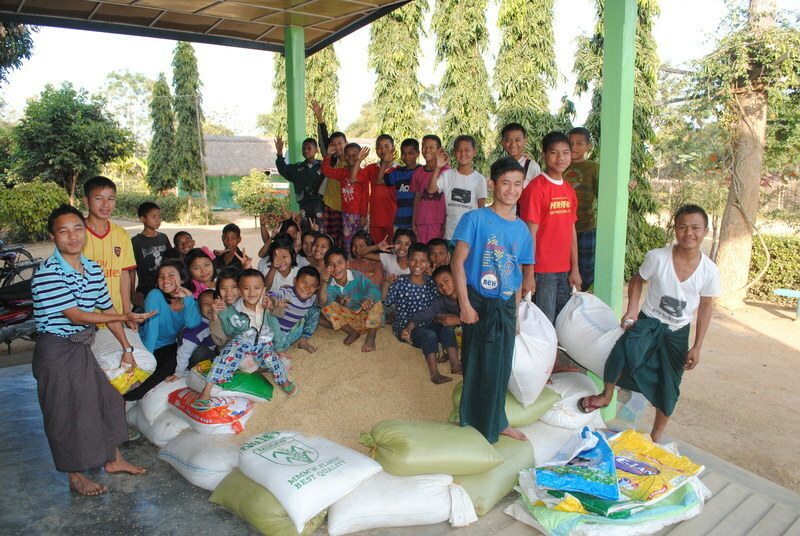 Our Sofia Home in Tamu recently enjoyed a wonderful harvest and the children were overjoyed by the collection of rice! As the rice is harvested it is stored in sacks and will be used to feed them over the course of the year. It is a joy to see the rewards of the hard work of our staff around the world. It is great for the children to be involved in these annual events in Burma as they can learn about growing and harvesting crops, which will stand them in good stead for their future. At Stand by Me one of our core aims is to encourage our homes, schools and day centres to become self-sufficient in the future. To us, the greatest success we could hope for is that our projects become independent from us and can provide for their own needs. a gift of rice seed, which can be bought for £9, as a gift for one of our homes on your behalf. If you would like a copy of our Alternative Gift Catalogue, by post or by email, please contact us on 0845 604 5543 or email [email protected] It is great for use throughout the year!